Reigning champions Timo Bernhard, Mark Webber and Brendon Hartley took victory in today’s 6 Hours of COTA, the Lone Star Le Mans event at Austin, Texas. The trio secured a third consecutive WEC win after a gruelling race held in challenging hot conditions. It was an exciting strategic battle between al of the LMP1 manufacturers – Audi, Porsche and Toyota, and all three were represented on the podium as the No.8 Audi of Lucas Di Grassi, Oliver Jarvis and Loic Duval came second and the No.6 Toyota Gazoo Racing TS 050 HYBRID of Mike Conway, Stephane Sarrazin and Kamui Kobayashi took third. The No.13 Rebellion Racing R-One-AER of Dominik Kraihamer and Alexandre Imperatori took a conclusive win in the LMP1 Privateer class to take over the lead in the championship standings. The Signatech Alpine squad took a fourth win of the 2016 season as Nicolas Lapierre, Gustavo Menezes and Stephane Richelmi extended their large point’s lead. Aston Martin Racing celebrated a fine double win in the LMGTE classes as the No.95 car of Marco Sorensen and Nicki Thiim won in the Pro class and the No.98 car of Pedro Lamy, Paul Dalla Lana and Mathias Lauda swept to a dominant Am win. · With one hour, 37 minutes to go Audi No.7 with Benoit Treluyer at the wheel had contact in the esses and ended up in the wall. Full course yellow called. · With one hour, 6 minutes remaining. The No.88 Abu-Dhabi-Proton Racing entry was pushed back into the garage. · The Manor LM P2 entry retired from the race with 22 minutes remaining with suspension problems. · The delayed No.7 Audi of Andrew Lotterer was forced to pit for a splash of fuel with only one-minute remaining. · Timo Bernhard was again at the wheel to greet the chequered flag – repeating the result from Mexico City. 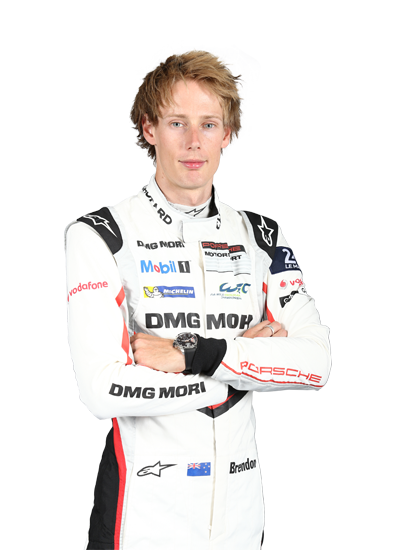 · Bernhard, Mark Webber and Brendon Hartley earned their third consecutive victory – a dramatic turnaround in fortunes for the No.1 Porsche. · The victory by the No.1 Porsche repeated their effort here last year at Circuit of the Americas. · The trio set a record last year for the most consecutive wins in a row in the FIA WEC with four successive wins. They can equal that record with another victory at the next round at Fuji. In LM P1 Privateer, LM P2, LM GTE Pro and LM GTE Am pole winners all won their respective classes and dominated over the six hour race.